Sputnik – The newly-leaked European Commission plan to substantially reduce the bloc’s dependence on the dollar will not work without Russia’s participation, Sputnik contributor Ivan Danilov noted, suggesting that Paris and Berlin would have to strangle their anti-Russian sentiments. It appears that the greenback may finally find itself in a heap of trouble, being at least partly deprived of its “exorbitant privilege”: The European Union has drawn up a plan to challenge the dollar’s dominance in global markets. On 3 December, Bloomberg reported that it had obtained a European Commission document revealing a detailed roadmap to the euro’s rise, adding that the draft would be released by Brussels later this week. 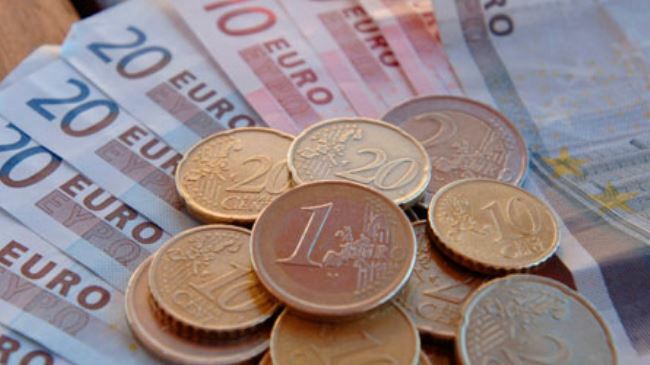 “There is scope for the euro to develop further its global role and achieve its full potential, reflecting the euro area’s political, economic and financial weight”, the draft reads. The document also proposes using the euro as the default currency in the bloc’s energy transactions with third countries, as well as the creation of a euro-denominated benchmark for oil. According to the European Commission, the bloc must create “a full range of trustworthy interest rate benchmarks” in financial markets, and “a fully integrated instant payment system”. Explaining the rationale behind the move, the draft stated that “recent extraterritorial unilateral actions by third country jurisdictions like in the case of re-imposed sanctions on Iran, together with recent challenges to the international rules-based governance and trade are a wake-up call regarding Europe’s economic and monetary sovereignty”. The document clearly refers to US President Donald Trump’s unilateral withdrawal from the Joint Comprehensive Plan of Action (JCPOA), commonly known as the Iran nuclear deal, and the resumption of sanctions against the Islamic Republic, which severely hit EU businesses’ interests. In addition, judging by the draft, the European bloc is seeking a viable alternative to the Society for Worldwide Interbank Financial Telecommunication (SWIFT). Although the organization is located in Europe, it is de facto subordinate to the US. Thus, SWIFT disconnected Iran’s financial institutions, including the country’s central bank, earlier this month, regardless of the fact that the JCPOA signatories, including the EU, have repeatedly pledged their commitment to the Iran nuclear deal. “While the proposals aren’t binding legislation, their potential adoption by the bloc could upend the global energy market”, Bloomberg warned. Commenting on the move, Sputnik contributor and economist Ivan Danilov pointed out that although the EU is unlikely to implement the new financial mechanisms overnight, the document is ringing alarm bells for the dollar. According to the economist, the bloc’s decision to purchase hydrocarbons in the euro could deal a blow to the greenback, as the EU remains the largest importer of energy in the world. Its annual energy contracts usually amount to about $341 billion. However, there is more to the EU initiative than meets the eye, Danilov noted. “What is remarkable about the European Commission’s grand design is that the plan will not work without Russia, which means that Paris and Berlin will probably have to slightly strangle their anti-Russian impulses, because they will need Moscow’s cooperation on this vital issue”, the economist highlighted. In addition, Russia remains the key energy supplier to the European Union, he added. All of the above “creates the conditions for Russian energy industry to switch to settlements in European currency”, according to Danilov. Meanwhile, on 27 November, the Russian Finance Ministry issued 1 billion euros ($1.13 billion) worth of 7-year bonds with a yield of 3.0 per cent. According to Bloomberg’s Leonid Bershidsky, Russia’s shift to the euro was part of Moscow’s comprehensive de-dollarisation plan. “If the test and the plan are successful, the European Union will get an unlikely but important ally for its efforts to bolster the global role of its common currency,” Bershidsky predicted. Danilov believes that the European Commission’s plan is likely to prompt a tough response from Washington: “The reduction of the ‘dollar zone’ is nothing short of an existential threat for the American economy and financial system”. However, the US’ ire is likely to play into the hands of both the EU and Russia, as it may facilitate their rapprochement, the economist believes.